…am woefully behind in terms of getting in step with 2013! This year, my get up and go has been practically non-existent. On both ends of each day since we rang in the new year I‘ve made plans and lists and promises to: do this, be that, just start, finish up, begin again, renew, jump-start, refresh, re-engage, disengage, schedule, unschedule, create, recreate, reflect, reverb, and chastised myself over and over again for not following through. …am not exactly sure why I find myself in this gyration, this whirligig; I just am. Not a complaint, merely sharing a glimpse of where I am at this point in time. When I started composing this post, I had not a clue about what I’d write, certainly not what I have written. And now that I have, I think this is what I needed to do, ’cause as my mother was fond of saying: “time to get crackin’ kiddie, time’s awastin.” I feel better now. I guess I just needed to acknowledge and put it out there. 15 Jan	This entry was written by Honoré and published on January 15, 2013 at 1:06 pm. It’s filed under Honoré, Lifeology, Self Care. Bookmark the permalink. Follow any comments here with the RSS feed for this post. Newer: T is for thank you! ‘I’ think you are amazing! ‘I’ am inspired! ‘I’ think your photo of blue(?) 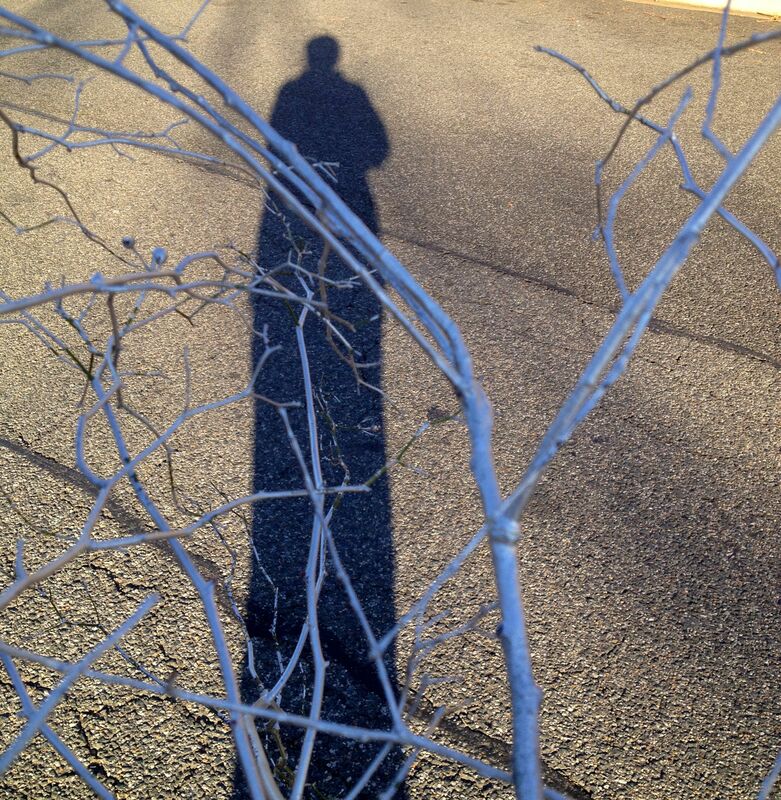 branches is gorgeous with your elongated shadow in the background. Good shot.